You are flying a heading of 055 when you are issued this clearance "...hold east of the ABC VORTAC on the zero niner zero radial, left turns..." This clearance is enough to invoke a rapid heart beat in the most experienced pilots. 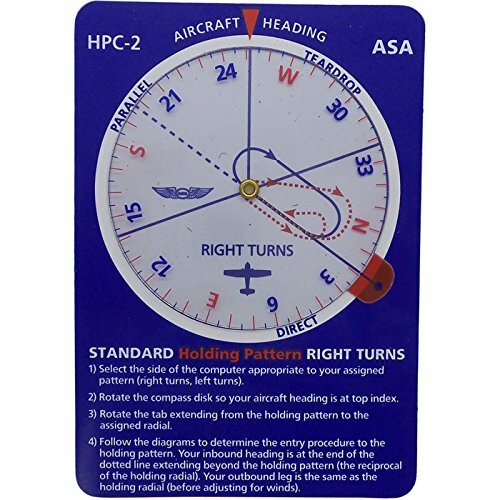 Although holding patterns may be used on any instrument flight, holding clearances are issued infrequently enough for pilots to get a little rusty on the procedures. Visualizing a holding pattern from a current position is one of the more challenging aspects of instrument flight. 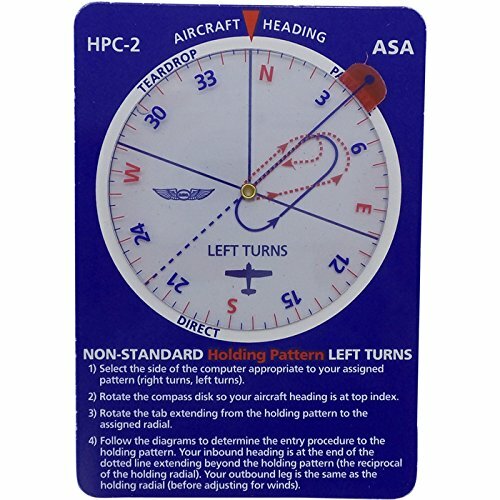 ASA's holding pattern computer shows pilots which entry is appropriate given the assigned holding radial. The design not only displays the appropriate entry procedure for both standard and nonstandard patterns (direct, parallel, or teardrop), but also depicts how pilots get to this entry, given their current aircraft heading. 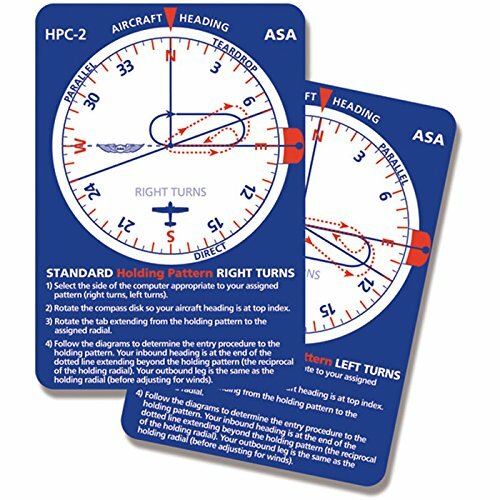 Holding pattern practice is now part of the instrument currency requirements (every 6 months, instrument-rated pilots must execute 6 instrument approaches and practice intercepting and tracking a NAVAID, as well as holding procedures). This handy pocket-sized tool may be used as a refresher on the ground, as well as a quick-reference guide in flight. Made from durable plastic in the USA. Studio: Aviation Supplies & Academics, Inc.